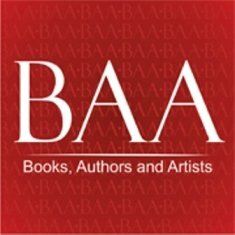 Books, Authors, and Artists (BAA), a small-press publisher, has chosen three of their titles for the IPPY Awards 2014, with the finalists due to be announced on April 30th. Louisville – Books, Authors, and Artists (BAA), a small-press publisher, has chosen three of their titles for the IPPY Awards 2014, with the finalists due to be announced on April 30th. BAA has entered three titles by Karl F. Hollenbach: The Great Hawk, a story of coming-of-age with a backdrop of the Great Depression, Scrooge and Marley, an extension to the Charles Dickens’ classic A Christmas Carol, and Anecdotes and Special Notes, the author’s autobiography. Astrid Gay, book publicist for Books, Authors, and Artists, says, “We were both pleasantly surprised and happy when Mr. Hollenbach’s children’s fantasy novel, A Journey To The Four Kingdoms , was nominated as a finalist for the Readers’ Favorite Award 2013 and is available at Amazon as an ebook or paperback. A Journey To The Four Kingdoms was awarded a finalist in the children’s fantasy category of the Readers’ Favorite Award 2013. Karl F. Hollenbach has just finished his next title, Holy Ground, to be published 2Q, 2014. Books, Authors, And Artists is the publishing division of internet marketing KY, LLC. It specializes in book publication by enhancing the public awareness of selected authors, both new and previously published. Additionally, visual artists who participate by creating graphics and artwork are featured.